Pursuant to Rule 61G15-37.001, Florida Administrative Code, each quarter FEMC/FBPE is required by contract to provide the Department of Business and Professional Regulation with a compliance report. 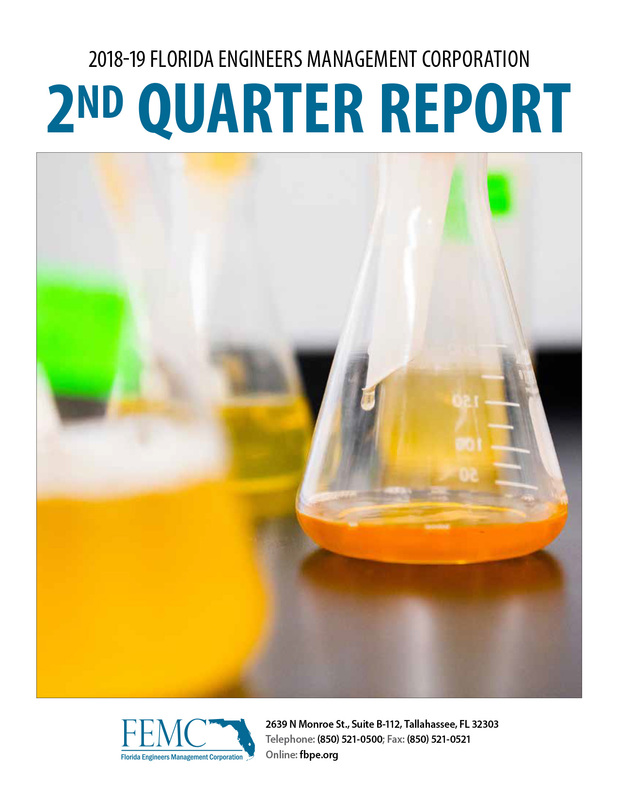 These reports contain information related to licensure, legal deliverables, and performance standards, such as the number of applications received and processed, and the status of complaints and disciplinary cases. 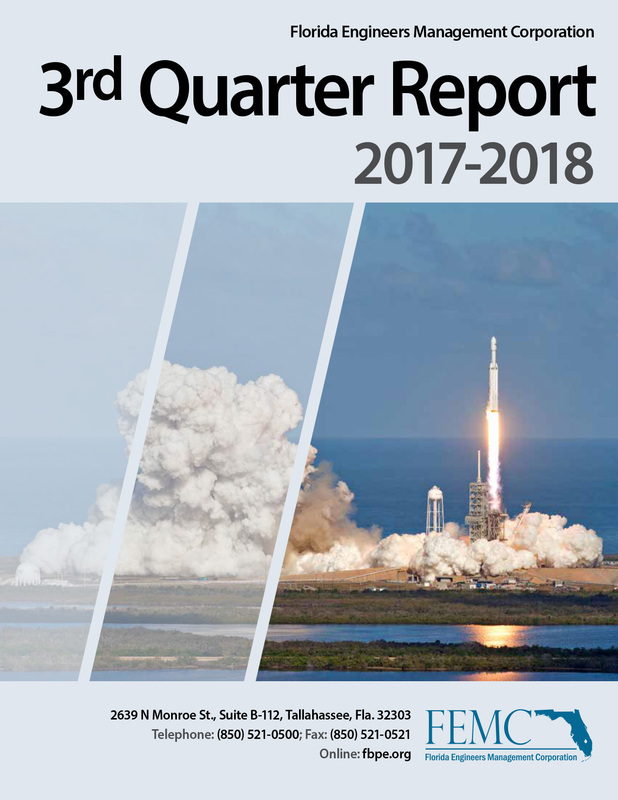 You can view the latest quarterly report for the current contract year or submissions from the previous year by selecting one of the images or links to open and download. 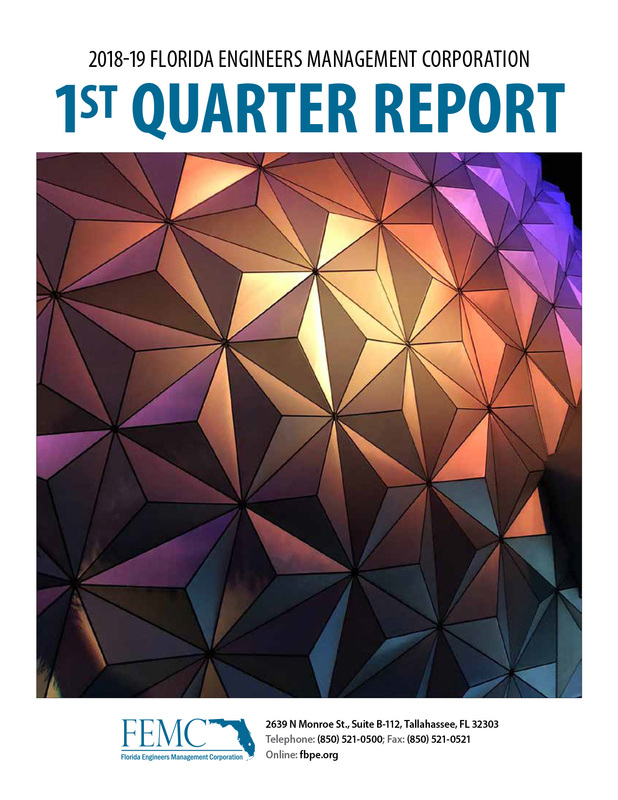 If you are interested in obtaining a copy of a quarterly report report not listed here, submit a public records request to publicrecords@fbpe.org. 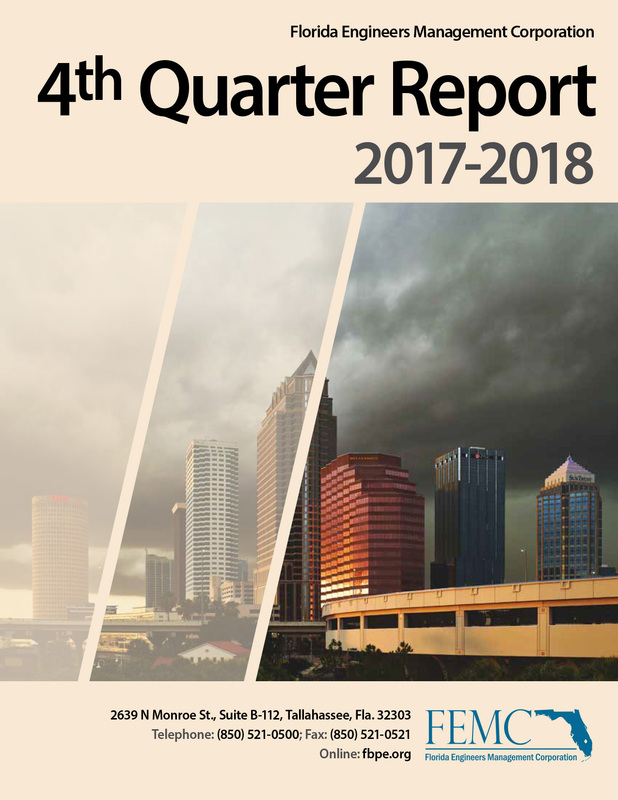 Please include your name, contact information, and which report(s) you would like to receive identified by quarter and year. Note that depending on the amount of information provided and method/medium requested, a fee may be charged. Should you have any questions related to this report or others found on our site, please send your inquiries or comments to board@fbpe.org.